We are seeking an enthusiastic and experienced Digital Marketing Intern to join our Digital Marketing team. The Digital Marketing Intern is responsible for assisting the marketing team with content and visual items. The Digital Marketing Intern will closely work with the Digital Marketing Manager with coordinated team. S.J. 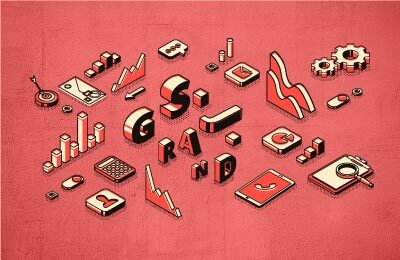 Grand Financial and Tax Advisory is a client-centered financial boutique providing tax, accounting, and corporate advisory services to foreign-invested enterprises in China and Asia. With 15+ years experience, we successfully served 1300+ clients building a strong reputation. Our services range from accounting, tax advisory, and payroll, all the way to mergers and acquisitions, restructuring and financing. We operate a network of offices in China: Beijing, Shanghai, Shenzhen, Hong Kong, and Taipei; and we have clients in Singapore, Vietnam, and Japan. We blend local knowledge with a global reach, being a trustworthy proactive partner for our clients. Our practice relies heavily on technology, using machine learning-based automation tools. Our team of local and foreign professionals is growing! We look for talents who share our values: transparency, efficiency, flexibility, commitment to excellence, diversity. S.J. Grand fosters enthusiasm and passion: we recruit capable talents willing to grow to their full potential. The Digital Marketing interns play a key role in a company life. The successful candidate must be able to meet tight deadlines, think critically, and be responsible. He/she will respond directly to the Marketing Managers. Ability to operate WeChat Official Account and other social related platforms, Ps, Ai, inDesign skills are a BIG plus. Good social and presentation skills, proactive team player able to bring ideas. Any additional tasks, within general or specific instructions, which might improve efficiency and profitability of the company.